Anne T. Kunz, 78, formerly of Fond du Lac, was born into eternal life on Thursday, Oct. 18, 2018, in Waunakee, Wisconsin. She was born on Nov. 1, 1939, grew up in Hubbell Michigan, and graduated from Lake Linden High School. She moved to Detroit, fell in love with Garrett Kunz, and the two were joined in Holy Matrimony at St. Cecilia Catholic Church in Hubbell, MI on July 11, 1959. She is the daughter of Joseph and Leona (Schon) Kessler. She worked for many years as a Program Assistant for the UW-Madison Athletics Department. Anne shared a special devotion to Blessed Mother Mary. She was an Associate of the Congregation of the Sisters of Saint Agnes, as well as an accomplished piano player and an incredible cook. 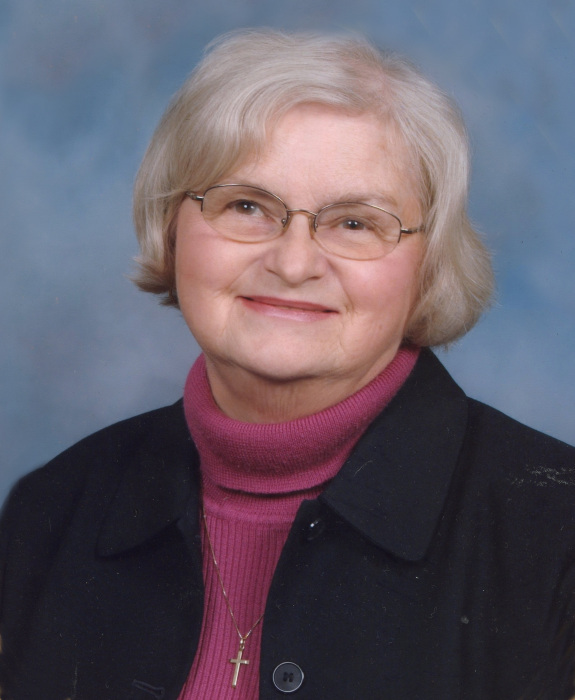 Anne was an active volunteer throughout her life, most recently with Catholic Charities and helping pray the Rosary at the same nursing home in which she was a resident, Waunakee Manor, and with the Pregnancy Helpline. Survivors include her children, Cheryl (Donald) Miller of Campbellsport, Timothy of Waunakee, Michael (Gina) of Edgerton and Judith (Huan) Hoang of Madison. Her grandchildren, Daniel Miller, Laura Miller, Michelle Hoang, and Stephen Hoang. Her sisters, Mary (William) Musack of Mayville and Helen (Linus) Ostdiek of Lincoln, Nebraska. Also, by many nieces and nephews. She was preceded in death by her husband, Garrett Kunz, on Aug. 13, 1975, and by her parents a number of years later. A Mass of Christian Burial will be held Saturday, October 27, 2018 at 11:00am followed by burial at St. John the Baptist Catholic Church, 209 South St., Waunakee, WI 53597. Monsignor James Gunn will officiate. Visitation will be from 9:00am until time of Mass at the church. We would like to thank the loving staff at Waunakee Manor and Agrace Hospice. Memorials would be appreciated to St. John the Baptist Catholic Church, Waunakee or to the ALS Association. Myrhum Patten Miller & Kietzer Funeral Home is serving the family with online guestbook and condolences at https://www.myrhum-patten.com.